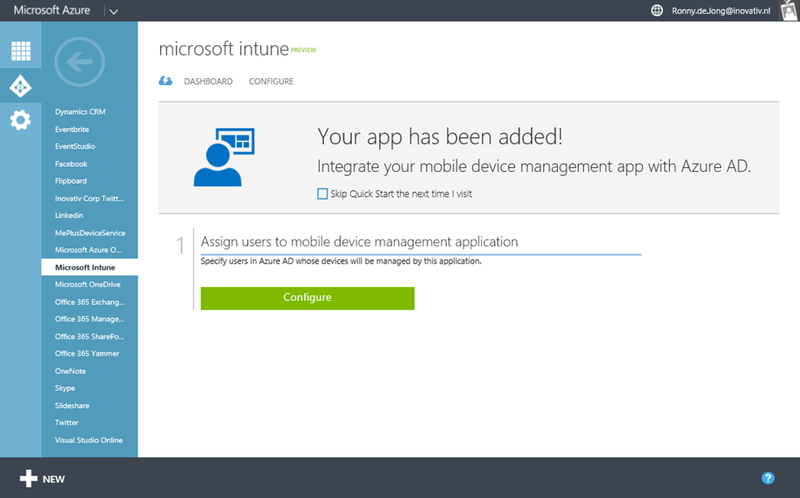 Integrate your Microsoft Intune device enrollment with Azure AD! May this year Microsoft announced a new capability of automatically enroll devices in Microsoft Intune as part of joining devices in to Azure AD (Premium). By joining a Windows 10 device to Azure AD it is extremely easy for end users to get the benefits of single sign-on, OS state roaming, and management capabilities. This will work with both Microsoft Intune and with 3rd party MDM solutions. In this blog post I’ll show you how ease and transparent this process is and how powerful the integration is of Microsoft Online Services and Windows 10!